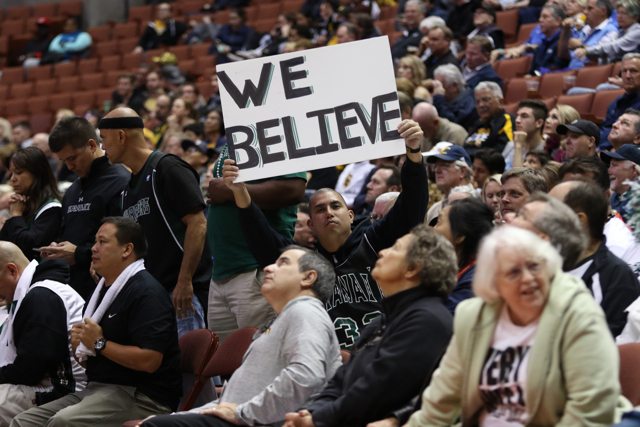 ANAHEIM, Calif. — Adversity? Check. Roller-coaster performance within the game? Check. Winning through the said adversity? Check. All of the elements of this amazing season for the University of Hawai’i basketball team were on display in an 88-76 victory over UC Santa Barbara in the semifinals of the Big West Conference Tournament at the Honda Center on Friday night. The No. 1 seed Hawai’i will face No. 3 Long Beach State in the Big West title game at 6:30 p.m. (Hawai’i time) on Saturday at the Honda Center. It will be televised live nationally on ESPN2. Long Beach State, which is the only team to beat Hawai’i twice this season, advanced to the title game with a 77-72 victory over UC Irvine in Friday’s second semifinal game. Hwai’i improved to 26-5, one victory shy of the school-record 27 established by the 2001-02 team, which won the Western Athletic Conference Tournament championship, and is the last UH team to play in the NCAA Tournament. The No. 4 seed UCSB finished its season at 18-13, including three losses to Hawai’i. 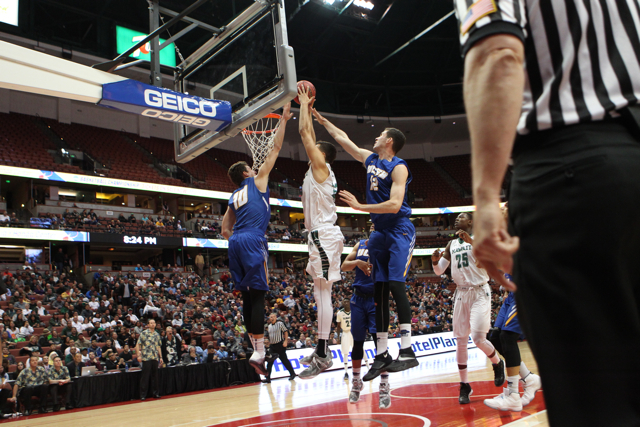 The Gauchos entered the game on a nine-game winning streak. Perhaps fittingly, the Warriors were led to victory by their trio of All-Big West Conference players – junior center Stefan Jankovic had 24 points and seven rebounds, senior point guard Roderick Bobbitt had 21 points, six rebounds, five assists and four steals, and junior forward Aaron Valdes had 19 points, 10 rebounds and seven assists. Mike Thomas added eight points and three rebounds, and the trio of Stefan Jovanovic (five points, two rebounds), Sai Tummala (four points, three assists), and Sheriff Drammeh (five points, two rebounds) played key roles off the bench. Senior guard Quincy Smith suffered an apparent hip injury in the first half, and was limited to 11 minutes of action. He finished with two points, two rebounds, two assists and three steals. Smith was able to walk on his own after the game, but his status will be reviewed on Saturday, according to Ganot. The Warriors led by as many as 14 points in the first half, lost the lead later in the first half, stormed back with a stunning surge to open the second half, then held off the Gauchos in the closing minutes. 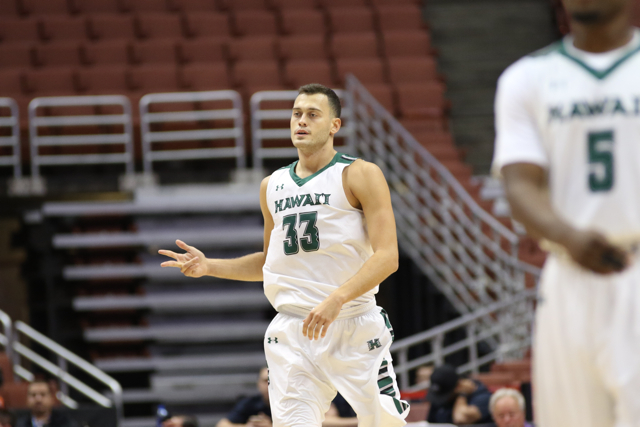 Just like in its quarterfinal victory over Cal State Fullerton the night before, Hawai’i turned up the defensive intensity in the second half. UCSB shot just 32.4 percent (11 for 34) from the field in the second half after shooting 57.7 percent (15 for 26) in the first half. In contrast, Hawai’i shot 56.0 percent in the second half, and finished the game at 52.0 percent to UCSB’s 43.3 percent. The Warriors also accounted for 20 assists on their 26 made field goals, out-rebounded the Gauchos, 35-33, and went 27 for 37 on free throws to UCSB’s 16 for 27. Hawai’i used a 13-3 surge early in the game to take a 25-11 lead with 7:32 remaining in the first half. The Gauchos responded immediately with a 15-2 run of their own to cut the Hawai’i lead to 27-26 with 3:06 remaining in the half. The Warriors committed six of their 13 turnovers during that four-minute stretch. The Gauchos took a momentary 31-30 lead on a layup by Gabe Vincent with 1:40 remaining in the half, but Hawai’i took it right back with two free throws from Drammeh. A 3-pointer by UCSB’s Michael Bryson tied the score at 34, but Bobbitt then drained a long 3-pointer just before the halftime horn sounded to give the Warriors a 37-34 advantage at intermission. The Warriors rode the momentum into the second half, scoring on an alley-oop dunk by Valdes on the first possession, and then a 3-pionter by Bobbitt on the next possession. Those plays were part of a stunning 21-3 surge in the first six minutes of the second half to increase the Hawai’i lead to 58-37. Bobbitt drained three 3-pointers and got two steals during the surge. The Gauchos chipped away at the Hawai’i lead, and eventually cut it to nine several times in the closing minutes, and then got as close as eight in the final minute, but the Warriors held on for the win. 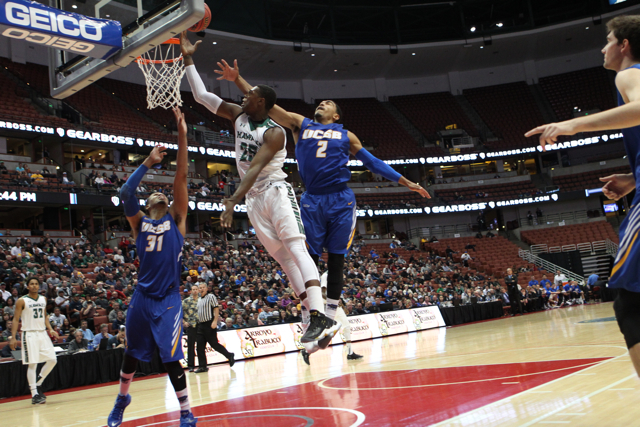 Michael Bryson led UCSB with 22 points and 10 rebounds. Gabe Vincent added 17 points, and Alex Hart scored 12. Great win last night. One more to go. Also watched the Beach game. We will just have to beat them the third time around! It was annoying that the one commentator kept saying that Irvine was the most complete team in the BW and that they were built to battle the haves in the Big Dance. We’ll never know! On to the final winner take all game. Hopefully Q is all right. Warriors are focused! Let’s get this game! Go Warriors!!!! You worked wonders to earned this once in your lifetime privilege. 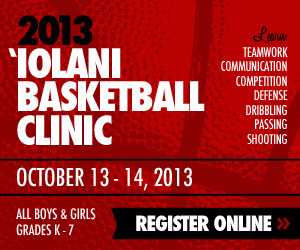 Here’s the opportunity to create a legendary success with UH MBB. May Lady Luck be with you all the way!!! BIG game as I will be there ! Sorry to bust a BUBBLE on Jankovich quote “the only ones believing” they should be in the bwc championship” as LBSU is BUILT for this moment and played a TOUGH schedule the entire year preparing themselves with my coaching prodigy Rod Palmer of LBSU guiding them to this moment! UH will have to play smart and get back on defense as LBSU is no fluke ! They are DEEP with athletic BIGS and has the BEST all around player in Nick Faust. This game will be a fantastic match up with the athletic strength of LBSU vs the will and determination of UH Bows ! Leaving early to cheer on the wahines @ 3:30 then staying for the championship night cap ! Over 8 hours in the city of Anaheim with the huki lau across the street at JT Schmids ! Prime Time Bow Road Warrior back at the throttle once again ! Rainbow Cliff, I think you misunderstood Janks quote. He was saying nobody else believed that Hawaii would be here. I know that everyone wants Q to play. I know Q wants to play. But please, please, let’s put Q’s health first. If he’s got the type of injury that playing could be harmful to him or that resting it might bring him back to full strength sooner, please don’t play him. We know we have more games to play no matter what, and we know this team will step it up FOR HIM. I’m excited for tonight’s game.winner goes to the big dance.I’m confident that Hawaii will win tonight and will be dancing tonight at the Honda center.
? Bombs Hitting ? Kick that off today! BEAT The Beach, Game 3, When it Matters! LBSU has a balanced team, 6 players scored in double figures vs UCI and 5 had five or more rebounds. If you hope for an off night for Faust or Bibbins, you have to contend with Levin,Spencer, Hammonds, Prince, etc, and a coach, Monson, who has been to the NCAA’s with Gonzaga, Minnesota and LBSU, once each. Anyone catch the Irvine-Beach game? That was an awesome game. It was fast paced and physical and the Beach players seemed to thrive in that kind of intense game. Maybe UH should try to slow the game down. 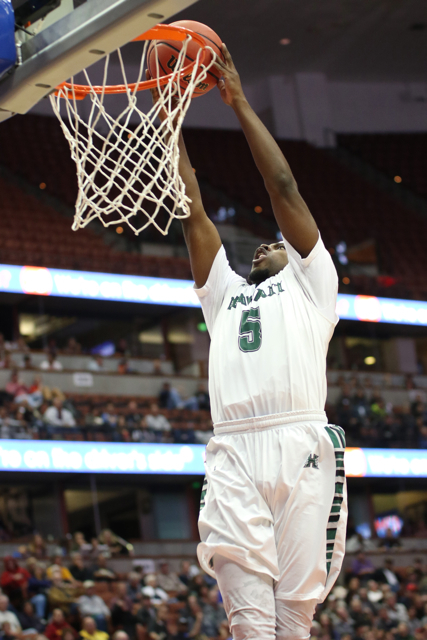 The Beach can really pass the ball around nicely and quickly and tore up Irvine’s zone defense. I’d try a man to man at the beginning and see if that helps. Everyone talks about Bibbins and Faust as key players (and they are) but I think UH will need Levin to have an off night if we want to win. Don’t hold the ball too long when the other team presses, if you do you will get trapped by three players like UCSB did to UH yesterday. I’m going to say it again because I think it’s important…keep the game downtempo. The Beach is composed of a bunch of street ball and athletic players who love a fast and physical game. We just need to be patient, smart, and control the ball. And man to man defense. And composure – the beach players, especially Faust and Bibbins, really get going if opponent is riled up and pumping up the crowd. They do a good job of using that as fire to play well and aggressively. We just need to be cold as ice and get the job done. Think about celebrating when we get that W.
Faust will get his points; he’s a volume shooter/slasher who does not lack for confidence. Just make him earn it, and I think Valdes will do that. AV is playing at a consistently high level on both ends of the floor. In the last game, Bobbitt put the clamps on Bibbins after he got off to a fast start. As they say, cut the head off the snake and the body dies. That’s a key matchup, and one I’m sure Bobbitt is relishing. Yesterday, after Childress went off with (I believe) four consecutive steals, Bobbitt really upped his game. It was as if he took that personally. They’ll likely put the undersized Prince on Janks as they did the last time. Janks will need another game like last night, working the perimeter but also using his size advantage in the paint. Play tough, mentally and physically, and they don’t have a matchup for him. Quincy might miss the biggest game of his career. I feel badly for him, but as they’ve shown all season, others have to step in and step up. Somewhere in there is another solid performance by Thomas and/or Tummala. Time to bring it. Ought to be a great game. Bibbins went to the same high school as Stef and Niko. Great outpouring of Hawaii fans at the game last night. And it was nice to see our Warriors come up in the stands to greet and thank us all for showing up to support them. Hoping tonight tonight will be a special night for Warrior Nation. Stopping Bibbins will be one of the keys. Our team will scrap and fight to the end which is why we love them. It will be a special night at the Honda Center ! Be there. ! Go Bows ! It’s Warrior Time ! I hope we have enough left in the tank to pull out the win today. With Quincy questionable and Fleming gone, we are undermanned at the guard position, Drammeh and possibly Filipovich need to step up and have really good games. This game is the focal point of the whole season and I just wish we were fully manned, especially against a really good Long Beach team. I’m hoping for great games by Janks, Bobbitt, Valdes, with Tummala, Drammeh and Big Stef also making key contributions. I’m also pulling for the the Wahine to win today and get that NCAA berth. We have the senior leadership and are peaking at the right time. Go Warriors and Wahine !!! Two big wins today’s !!! The Long Beach players look like thugs, they act like thugs, their college fans look like drugged out crazies who regularly skip their classes, and their cheerleaders look skanky. I know these for a fact… I have a roku and have streamed the replay of the game 3 times since yesterday. I’ve never hated a team with this much passion since Fresno State. Njacinto, that’s exactly what the beach players are: thugs. They feed off energy and trash talk. That’s why we just have to be composed, patient, and ice cold and not even look them in the eye. Njacinto, LOL. I hope you’re in Anaheim, bro! Go beef those freaking thugs when they try for steal our wigs, brah! Sheesh! The best way to shut them up is to shut them down!!! Tavs is correct , ice has to be running in our veins and with a hot shooting hand. The front row of the student section looks like a scene from Animal House with John Belushi being that kid flashing his Frat flag and screams expletives. Looks like they just got out of a LMFAO concert. Time to put Long Beach to rest , go Warriors! For the fans wanting to shop and kill time there is a nice mall in Cerritos to chill and relax. Yelp it. Warriors get to elite 8? I think so. Watched marathon of midmajor and even high major teams tournament. Hawaii unique. Difference? Bobbitt. Smith. Valdes leadership and ability to defend shut teams down and score. Bobbitt hits 4 threes in a game. Game over. Janks like Keith Van Horn of old Ute team. Similar skillset.Janks defense and Stef protecting rim and great refs letting hard fouls go. In nationno other team like 2 year run Q. Rod.AV.Janks .They can go all the way. I believe they stay hot.warriors win national title. No teamcan stop them on any court unless warriors do not rebound and hit timely 3’s.Eran is blessed. He inherited best veteran team in usa! Hope Q is okay. He will play. 49ers will get blown today. Warriors going to ncaa’s!! Woke up with 2 thoughts in mind. 1) confidence in the Wahine and 2) questions for the men. Hoping Long Beach have a poor shooting night. The Beach has more depth and more shooters. If Q is out the guard line is weakened, almost feeling like Custer at the Little Big Horn. We must win the rebounding battle and take care of the ball. That’s a tall order because Long Beach is quick and gets to loose balls. Do you believe in fate? Is this the year of the Warriors? Does Ganot’s luck continues. Can Janks, Rod, and Valdes come up big again. Can Sai find the range? I notice Faust likes to go left, so maybe shade to the left so he goes right. 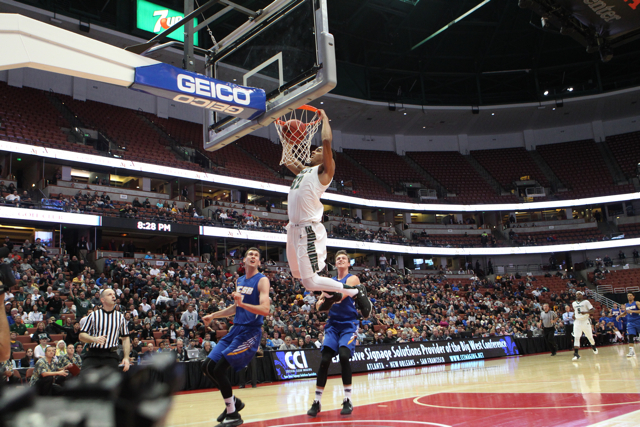 Long Beach won last night because they did a great job in stopping Luke Nelson. It’s a tough one to call tonight so I won’t make a prediction. I will just pray that Coach Ganot and the team has the Midas Touch and pull it out somehow. If we lose, we get the NIT, but I want to go dancing. As for the Wahine I think they are going to do it, if they take care of the ball, and shoot a decent percentage. It’s Destiny. Eran. Still happy guves credit to team. He could be Pitino. However no athletes defend. Score and closeot games. They would not be on run for ncaa title. Warriors do not be satisfied with just making dane. Win it. Warriors 90 LBSU 70 . Warriors to ncaa’s! Sorry. Team is unreal . They are so focused. No matter Niko or Sheriff or others compete help win even when ley guys out. I am not superstious. Team good enough they can go far.No zero. Hurt guys. Foul plauged. Does not matter. I am confident team will go to ncaa. 49ers not disciplined . they can lose. njacinto great championship game . warriors either way nit or ncas they going do damage. Might be better yeam UH history. My thoughts opinion. njacinto we all love this team Eran has done fantastic job!! Cannot wait for 630pm espn2hd! And Laura and wahine get it! 2 teams dancing either way extra post season!! Very happy estatic!! Team 1st you’re unreal. Jinxing the team talking about elite 8 when we are just trying to get to the dance. Stop your nonsense please, we can see through your sarcasm. I think we’ll be fine with or without Q tonight although having Q is always a plus. We have gamers like Rod who as Kelley predicted will step up and take over the game. If our bigs can play physical and stay out of foul trouble I like our chances. GO BOWS!!! Bench even more. But hey.. I BELIEVE IN THE BOWS!! And the players and coaches believe in each other! This team thrives against adversity!! One game at a time fellas! You can do this!!
. Just we stick together and cheer on team from Anaheim or Hawaii. Pono just enjoy the warrior run.WI fans are. Be positive!! I know you are! March Madnes. Best team will win.fair enough? Okay warriors get it!! I think Team 1st has had too much to drink. And to make a guarantee is absolutely ridiculous. There are a lot of ifs. When the stage is this big, you have to wonder who is going to crack. Ganot and team has faced a lot of close games and have shown much poise. Their experience throughout the entire season should help some. Sometimes things don’t go the way you want to and that’s life. Just enjoy the ride. It’s been magical so far. Sorry fellow fans. This team moment. Hope for good game. 49ers and Warriors 2 very good athletic teams. Wish team best. Hope it is great game. Will stop thinking too much ahead. ONE game at a time. I got your message. go bows! I CAN Tell They’ve Worked And Waited for this Every Day — It Has Driven Them…. I Don’t Know What Drives Faust — Adrenaline as some Suggested; Testosterone? EGO? Come on folks. Don’t take Team1st (UHfanz, etc.) seriously, and don’t engage him because it only fuels his fire (and ego). Let him babble on. He is what he is … always has been, always will be. So, Hawaii’s a 4 point favorite tonight…despite “losing” to Long Beach St. twice already this year and fairly recently. I believe we lost that first game due to the pressure of the first sellout crowd in years. Nerves got to the guys and they let the game get away from them. In the more recent matchup, UH was winning for most of the game until the ref’s decided to bail out Long Beach in the last 12 minutes. Anyone else notice the free throw disparity in that one? It was 24 to 2 (in the last 12:17 to be exact)…if that doesn’t scream rigged, Idk what does. I never posted about it because I was too upset about the time. But tonight we set things straight. We’re the better team, top to bottom. We just took down a HOT UCSB team and won convincingly. We should win by double digits tonight. Let’s go bows! LET’S GO BOWS!!! Quincy will play cause he is a warrior. Drammeh and Flipovich played well. But we need Quincy’s all-around play. Our 3 best players showed up last night, especially Valdez who was 3 assists away from a triple double and defending UCSB’s top player in Bryson. It’s good we get to play the Long Beach again. The players will be motivated to finally beating them in the most important game of the year. I can see this game getting “chippy.” Need to maintain composure and just let the score do the talking. I wish I was in Anaheim right now… still home in Hilo, but I’ll watch the game, like all Hawaii fans… ironically, I’ll be in Anaheim exactly one week from now… taking my family for a Disneyland / San Diego / Legoland vacation for spring break. Wahine going dancing! Let’s get the next one, guys.